Is your skin ravaged by the dry winter air? Mine always gets a little rough this time of year. In addition to having very sensitive skin, I also have incredibly dry skin, so finding the right products to hydrate it have become a crucial part of my skincare routine. Throughout the year, I use La Mer’s Moisturizing Gel Creme – I know I’ve featured it on here multiple times! It’s the first thing I put on my face every morning. While the Gel Creme has been a skincare staple for daytime for me since college, I’ve been in need of something with a little more strength for nighttime wear, especially this time of year. I’ve found in the colder months of the year, using an oil is best, because it actually seals in the moisture as opposed to typical lotion which often evaporates. Random side note, but even the nail place I go to in Dallas uses oil rather than lotion because it does a better job of locking in that moisture! 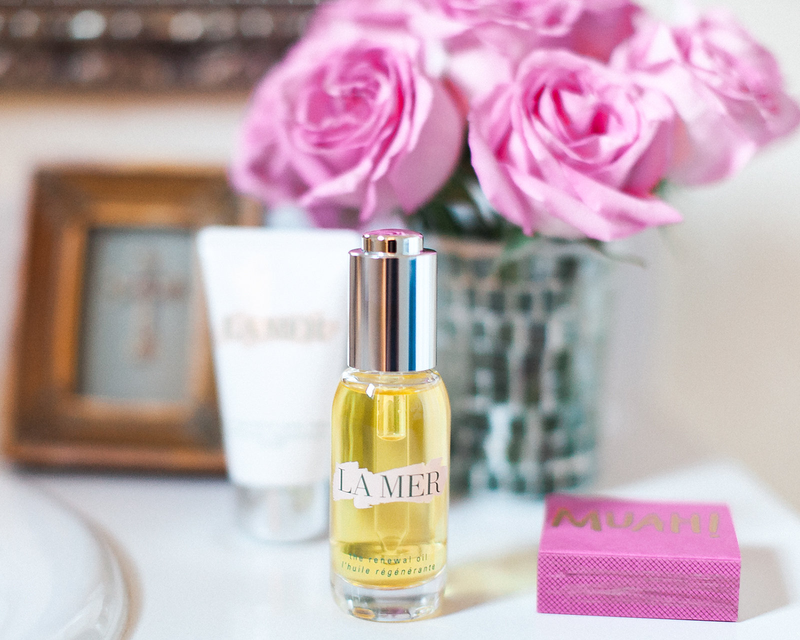 When La Mer reached out and offered me the chance to test out their newest product, The Renewal Oil, I didn’t hesitate. I’m such a long-time fan of the brand, and was already in need of something extra strength! Not only is this oil a great protectant from harsh winter wind, it also has some amazing anti-aging properties. It combines La Mer’s legendary Miracle Broth™ and sea-sourced actives to improve collagen production, therefore smoothing out emerging lines and wrinkles. Sign me up, am I right?! My favorite part about this miracle product, though, is its versatility. The Renewal Oil is the ideal travel companion, since it can be used pretty much anywhere! I’ve dabbed it on my hair to reduce the appearance of split ends and tame fly-aways, rubbed it onto my cuticles to soften them, and even rubbed some on my temples when I was getting a migraine one afternoon in Vienna (the subtle scent is divine). While I highly recommend this as a fabulous gift idea for others (hello, fancy stocking stuffer! ), I suggest even more that you get one for yourself. 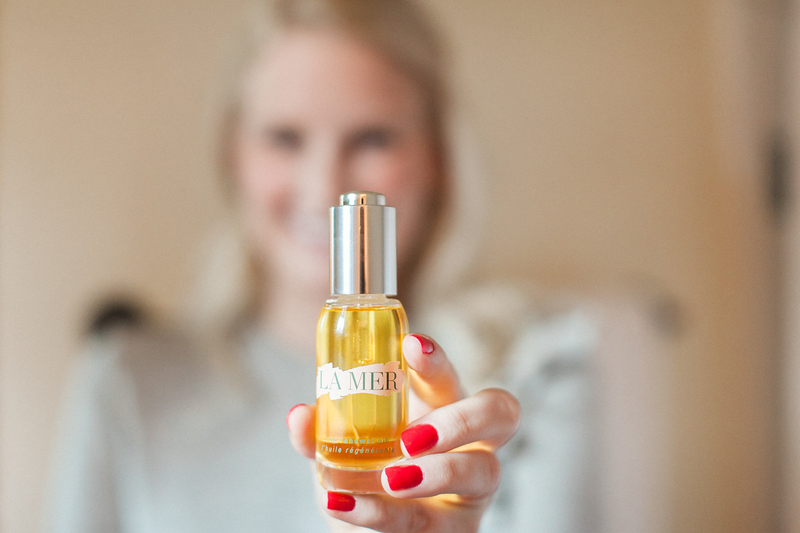 Click here to discover La Mer’s The Renewal Oil and order today to get it before Christmas! I’m not usually a fan of La Mer, mainly because I feel their products are overhyped and overpriced, plus jar packaging for skin is actually bad for you, but this new oil looks really great. My skin has been getting so dry and it looks like such a great option! 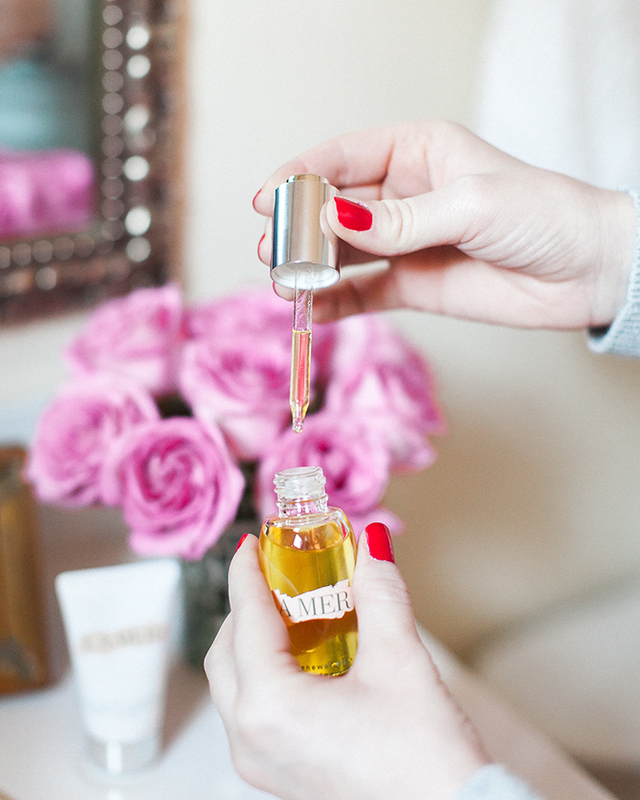 Im a big fan of skin oils and serums, sounds like I need to try this one!